The so-called Sahrawi Republic “SADR” was finally invited to the European Union-Africa Summit scheduled to take place in Abidjan, Côte d’Ivoire November 29-30, but there is something along the invitation lines. At the pressure of South Africa and Algeria, Morocco’s main opponents in the Sahara issue, the president of the African Union commission Moussa Faki Mahamat sent an invitation to the pseudo-“SADR”. However, in view of the reservations and protests of the Moroccan government, the invitation wording was nuanced as Faki Mahamat explained in person during his recent visit to Morocco. 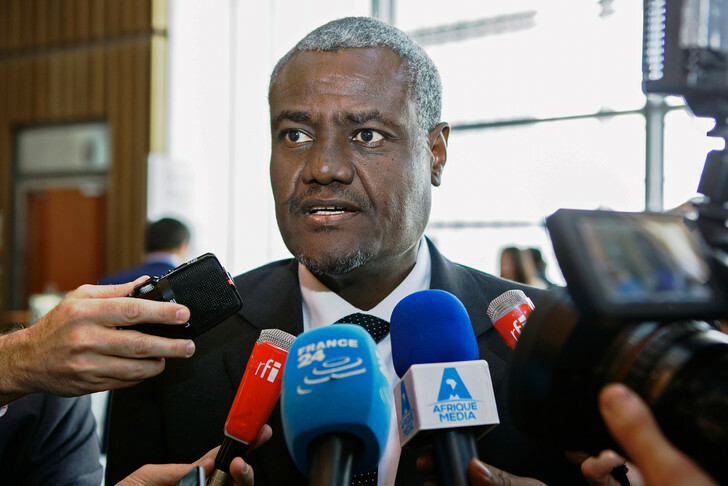 The Chadian Moussa Faki Mahamat, accompanied by his special adviser in charge of the summit organization, made a trip to Rabat on November 3 to explain in detail to King Mohammed VI how the AU’s statutes make it compulsory to invite all members, including in this case the so-called “SADR”. In the text of its invitation, the AU Commission actually stated: “The African Union wishes to invite SADR” instead of “SADR is invited”. In addition, the same text refers to “SADR” as “member of the AU” and not as “member state of the AU”. By using this wording, the AU Commission not only complied with the position of Morocco, but also aligned itself with the position of the UN and the European Union that do not recognize and have never recognized the whimsical Sahrawi Republic as a sovereign state. Moreover, this is the main reason that prevented the EU’s governing bodies from formally deciding on the participation or non-participation of the “SADR” at the Abidjan summit, insofar as this entity is one of the 55 members of the African Union. It is for these same reasons that Côte d’Ivoire, the host country of the Summit, has refused to invite the Polisario leaders. Morocco, which reintegrated the Pan-African organization at the 28th African Summit held in Addis Ababa, Ethiopia, at the end of January 2016, is staging a diplomatic battle for the exclusion of the Sahrawi entity from the Pan-African Organization, since it is not recognized by any international organization, including the United Nations.